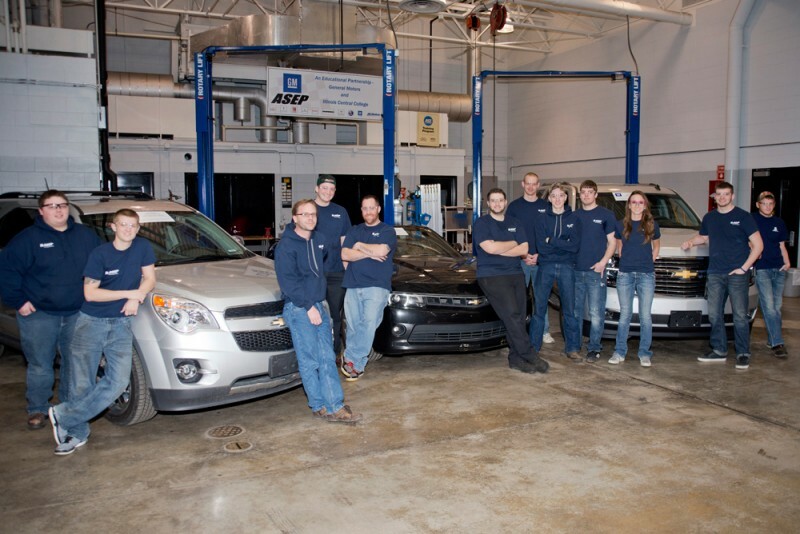 General Motors recently donated a 2014 Chevrolet Camaro, a Chevrolet Equinox and a 2015 Chevrolet Tahoe to the GM-Automotive Service Educational Program (GM-ASEP) at Illinois Central College. The vehicles will be added to the ICC training facility on the East Peoria Campus, where students acquire the knowledge and skills to prepare for careers as GM automotive technicians. Since 1979, GM’s continued commitment to identify and support the GM ASEP colleges and universities has produced over 16,000 service technicians. GM ASEP incorporates advanced automotive technical training with a strong academic foundation of math, reading, and electronics, and both analytical and technical skills. For more information about the GM-ASEP program at ICC, contact GM-ASEP Program Coordinator David Morgenstern at (309) 694-5192.